AF International, global brand leader and manufacturer of effective office and IT cleaning products have expanded their expertise into the PPE cleaning and maintenance sector. AF has a heritage stretching back over 40 years and have utilised their knowledge in the development of a Specialist Cleaning Range. 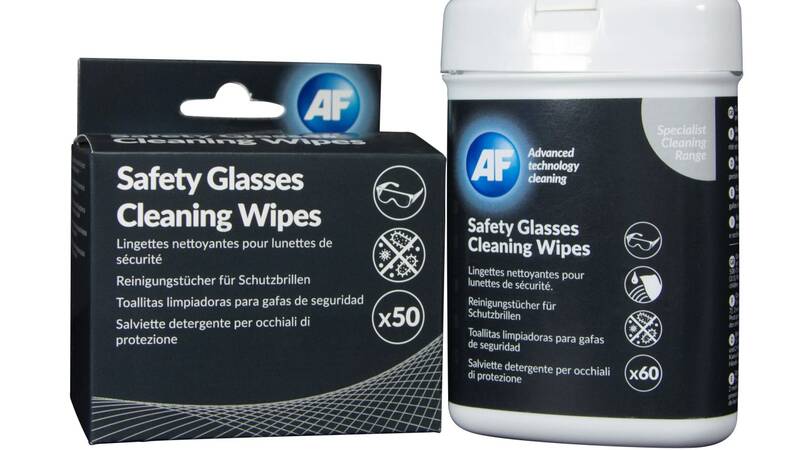 AF Safety Glasses Cleaner (SGC) quickly remove grease and dust from personal protective safety glasses and goggles (including prescription strength), ideal for regular cleaning. The wipes contain a safe cleaning solution, packaged in both re-sealable tubs and individual sachets for convenient use.